A minor quarrel escalates into a duel. A death creates a debt of honor. The demands of honor outweigh the demands of justice, and force friends to spill each other’s blood. And the need for victory requires the sacrifice of honor. Revenge is a story driven film with a few duels, but blood runs, and the last duel is an explosion of insanity driven by a mad man wielding a sword with death on its tip. Was he crazy? No He was titled crazy to save himself and his clan. After getting into an argument over whose weapon is more shiny Shinpachi a lesser ranking samurai is sent a duel invitation. Although the duel is illegal (all duels must be reported first before the a duel is to take place) He follows the invitation where he kills the other guy some how. Things get bad from here. Shinpachi must plead he is insane and that the other guy was insane aswell. He did no want to do this as for him it was an honorable duel but to save his clan from being kicked out from the fief he agrees to the insanity charge. He is kicked out and sent to a temple where he lives with a monk. This is where Shinpachi starts to go mad. The younger brother of the man he has killed wants to revenge his older brothers death. The younger brother finds Shinpachi and another duel takes place and by luck Shinpachi gets the better of his opponent. Now things start to get crazier and the elders want him killed in a duel by the youngest brother because of his actions even though Shinpachi was defending himself. 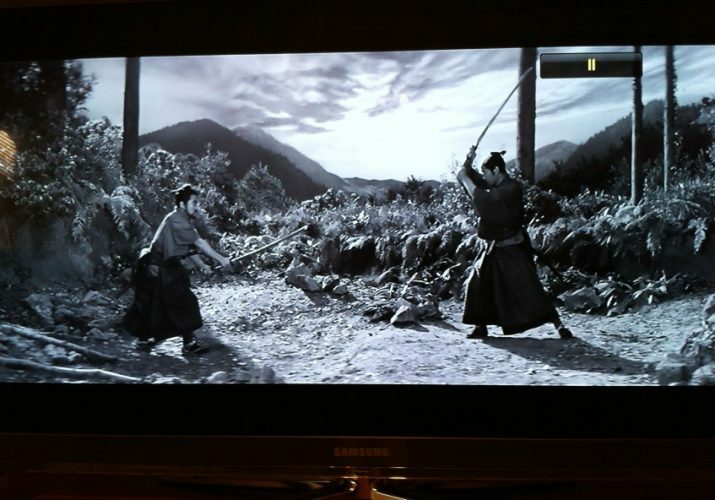 The last duel comes at the ending of the film, it looks like Shinpachi is going to let the youngest brother take his revenge but before the duels starts the elders have added assistants. No this is where i see Shinpachi go crazy. Up to this point the film has been slow but now boom! an explosion happens, Shinpachi go’s crazy and starts killing his opponents. One by one they get cut down, more men are sent in and more blood is spilled. At the end an honorable duel isn’t so honorable, the dead lye dead and the living go on living in shame with no honor. Does Shinpachi escape the duel , does he kill the youngest brother or does he face the cold steel of a dragoons sword? You will have to view the movie if you want to know. Over all I thought Revenge was a great film, no one wins. The action was slow until the end, but the story was great and the acting I thought was Pretty good as you can see Shinpachi start to go crazy thanks to Kinnosuke Nakamura.